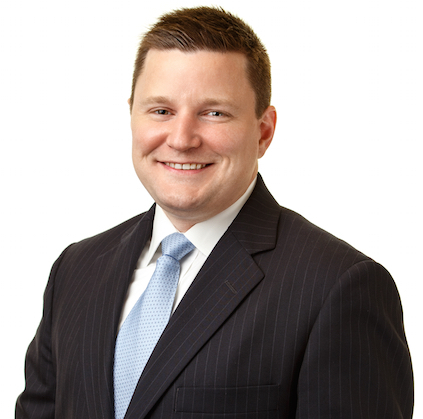 Byron’s favorite area of practice and his primary focus is personal injury and workers’ compensation. Individuals are harmed or manipulated by corporations, the medical industry, and insurance companies with regularity. It’s vital someone is able to help such individuals achieve justice. Personal injury can include numerous specific kinds of cases. Some of the most common are car and truck accidents, premises liability, and workers’ compensation. However, injuries for which you need an attorney might also include nursing home abuse and neglect cases, medical malpractice cases, birth injury cases, consumer fraud, insurance denials and products liability cases. If you have been wronged or hurt because of another person, an insurance company, a corporation, or virtually anyone else, the time to consult with an injury attorney is now. You get hurt because of someone else’s negligence. You get paid. Simple. That’s it. However, when insurance companies get involved, simple can become anything but simple. If liability becomes an issue, or if the injuries are very serious, or if the insurance company can find any other reason under the sun, you will not get your appropriate compensation. It’s an adversarial system and any dollar the insurance company pays out does not go to their bottom line. CEO’s, executives, and shareholders hate that. The insurance companies have all the reason in the world to give you nothing or give you less. You need protection from the system in the form of an attorney. Someone needs to represent your interests. If I’m that someone, great. If not, I will find you that someone. In addition, Byron, along with the entire team at Warnken, LLC, is a part of the Warnken, LLC’s workers’ compensation practice. Workers’ compensation cases do not pay injured workers nearly as much as car accidents, medical malpractice, or other personal injury. Consequently, attorneys’ fees in comp cases are lower. However, it’s vital to have representation in workers’ compensation cases. We take virtually all legitimate workers’ compensation cases. We do not shy away because the fees are smaller. If you’re hurt at work, it’s vital to have representation. Getting proper care, having medical bills paid, and receiving compensation for permanent partial disability, are all more likely with a good workers’ compensation lawyer. Many cases start out with a positive relationship with the injured worker and the insurance adjuster only to see the relationship sour at the first sign something is wrong or some aspect of treatment is denied. Byron also wrote a book on Maryland workers’ compensation. The book, the Comp Pinkbook, is available on Amazon.com here. The book is a compilation of statistics that came from the study of 284,330 Maryland workers’ comp claims. The Comp Pinkbook lists the top 50 most common workers’ comp injuries, as well as active lawyers, the most common workers’ compensation insurers, and the most frequently seen workers’ comp doctors. Review the book and/or call Warnken, LLC for representation and information. After graduating from law school, Byron B. Warnken started a business. Eventually he sold the business, taking a position with FourCubed, LLC, a growing firm in Minneapolis, MN. He was named president of that entity in 2007. He more than doubled revenues within 18 months. The company was named to the Inc. 5000 list for growth during Warnken’s tenure as president. He also served as a financial advisor before returning to law. Warnken received a BA from the University of Maryland, College Park and a JD from the University of Baltimore School of Law. *Byron B. Warnken, Jr. is not actually a Jr, as he and Professor Byron L. Warnken have different middle names. However, much the Baltimore legal community refers to him as Byron Warnken, Junior. If you have been hurt on the road or at work and you are trying to get treatment, chances are, someone is trying to take advantage of you. The best advice I can give anyone is explore your options before it’s too late. It’s vital to have someone on your side. When looking for the best personal injury lawyer for your case, look for experience, results, and the lawyer with whom you feel most comfortable. You don’t need to settle and you don’t need to go with the first lawyer you see. For instance, I’m not the best workers’ compensation lawyer for you. Rebecca Smith might be, but I’m not. We all have our specific areas of strength and it’s important to know what they are.